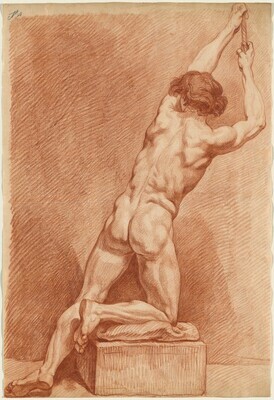 Joseph F. McCrindle [1923-2008], New York (as by William Etty); Joseph F. McCrindle Foundation, 2008; gift to NGA, 2009. The McCrindle Gift: A Distinguished Collection of Drawings and Watercolors. National Gallery of Art, Washington, 2012, 86-87, no. 32 (entry by Margaret Morgan Grasselli).